Up In Smoke” is the 1st official mixtape release from the production duo Clockwork Muzik Group. Clockwork has produced & recorded tracks for artists such as Chip Tha Ripper, Ray Jr., Killer Mike, Freddie Gibbs, Paul Wall, Young Buck, & Krayzie Bone, just to name a few. 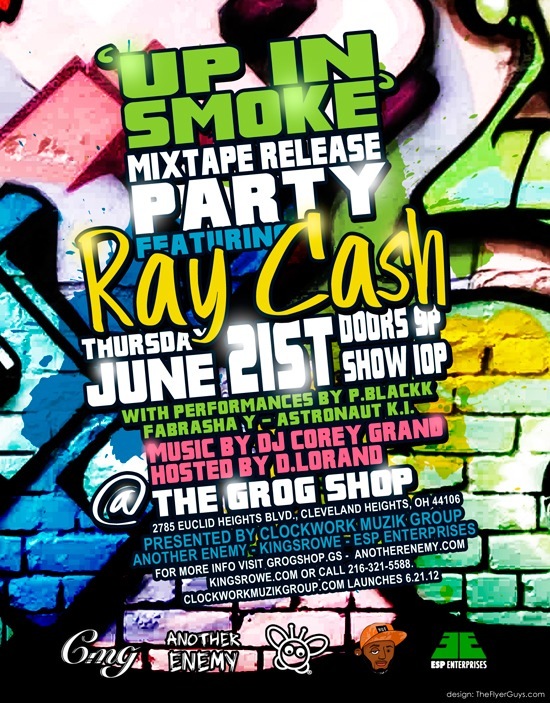 Clockwork Studios is the recording home for Ray Cash, and the duo were also the primary producers for Ray’s last 2 projects – “Champagne Talk” hosted by DJ EV & Tropikana, & “Don King” hosted by DJ K Nyce. This new project will feature more of that stellar Clockwork production their growing fan base has become accustomed too, as well as some heavy hitting features. The mixtape release party will also serve as the official launch date of their new website http://www.clockworkmuzikgroup.com. Come set it off with us for the 1st day of Summer!!! ‘By The Way’ @VeenoHAMZ feat: @Pheens New Music!! !